Prices are shown in the table below. Please note that the concession price applies to accompanied children aged 16 or under. If you'd like to buy tickets in advance the Information Centre can accept telephone bookings. You will then be able to collect your tickets at the concert. 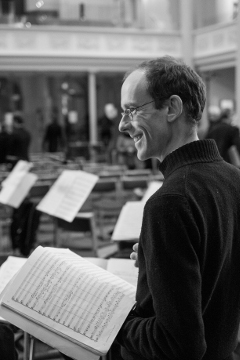 Salisbury Sinfonia is delighted to welcome Tom Seligman, who works with the Royal Ballet, New York City Ballet, Birmingham Royal Ballet, BBC Chorus and LSO Chorus as well as many others, to conduct the first two concerts of this season.